Bulgaria's Meadows in the Mountains, takes place for a 5th year in Bulgaria's Rhodope mountains at the mountain village of Smolyan, just south of the capital, Sofia near the Greek border from Friday 12th until Sunday 14th June 2015. 48 acts including Al Dobson Jr, Binh, Jane Fitz, Kele Le Roc (Love Is The Law), Mo Kolours (Live), Mop Mop Feat. Wayne Snow, Quantic, The Turbans, Wyles & Simpson, Albrecht Wassersleben, Andrea Muller, Andrew James Gustav, Ashleigh Ashley (Love Is The Law), Brand New Wayo, Beat Pete, Bruno Schmidt, Chaz Thorogood, Dead Echo, De Fuego, Demob Happy, Dione Reid (Love Is The Law), DNR Vinyl, Ed Word, Garo, Gus Harvey, Jack Tyson Charles, Jan Mir, Jo III, JVBD, Le Jorge, Lion Club, Lucie Zara, Marine, Maxi Storrs, Miro, Moglebaum, Nerobambola, Mr Margaret Scratcher, Rachel D’Arc, Strangelove, Subculture Sage, and Summer Pearl (Love Is The Law). The early bird offer has ended. Tickets are priced at £150. Camping is available in the surrounding meadows to the festival site. If you bring your own tent you are allowed to pitch up free of charge.Or tents can be hired at around £5 per night per person. 1 man, 2 man, or 10 man tents are available. Or there's village accommodation priced from £10 to £20 per night per person. Other Meadows In The Mountains activities include Horse & cart taxis, mountain zip line, downhill grass bobsleighing, death slide, horse riding, waterfalls, mountain walking, thermal spring, hammocks, local village life and locally sourced food. The closest airport is Plovdiv which also has good international rail links.  There are shuttle services from the airport to the festival (2½ to three hours) priced around £15 per person. All Ryanair flights from Stanstead to Plovdiv on June 11th are now SOLD OUT.